For us grownups October still feels so far away, but my daughter is already super keen to start making things for Halloween! 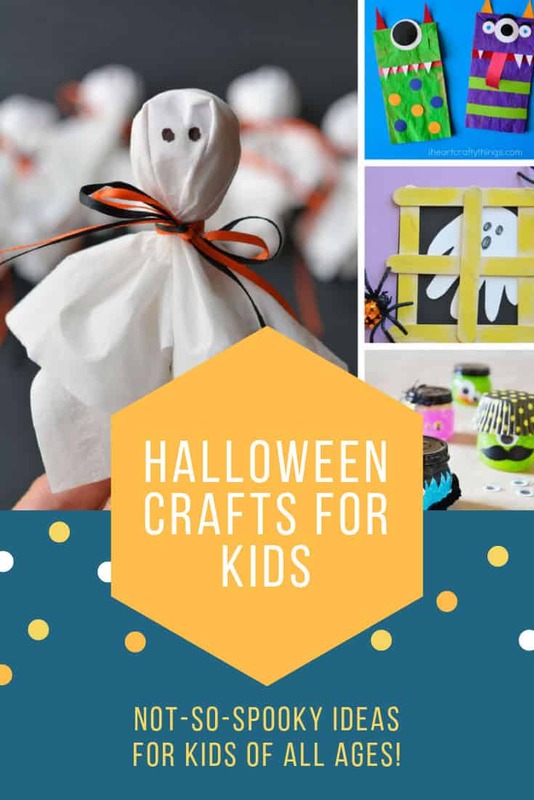 So today we’re sharing a collection of easy Halloween crafts for kids to make, it’s entirely up to you whether you make them wait until October to get started! 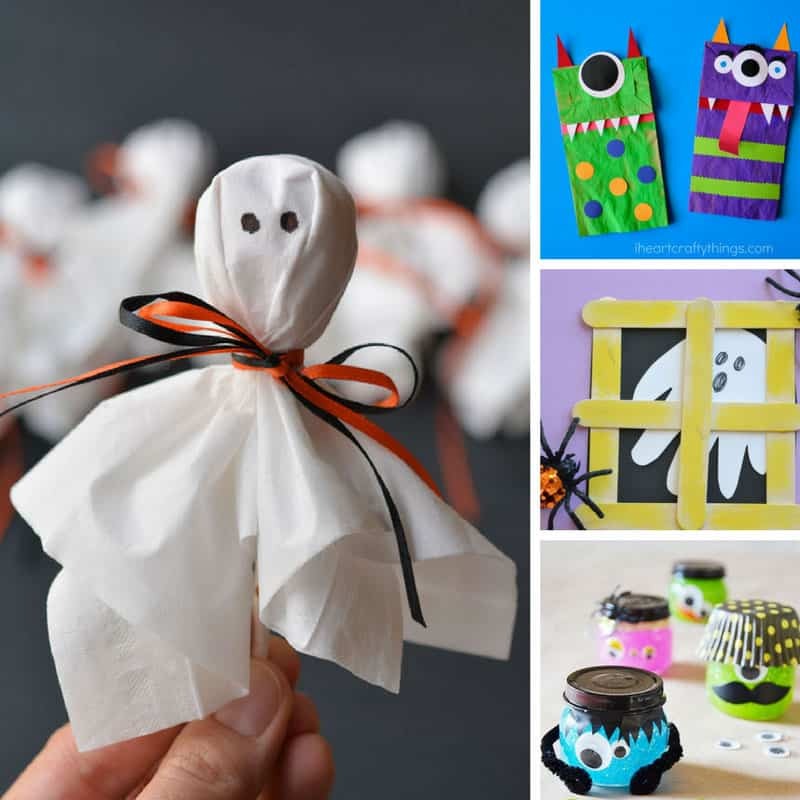 We have everything from paper plate spiders and glitter slime monsters (which make great party favors by the way) to puffy ghosts and lollipop ghosts! As always be sure to pin your favourites so you know where to find them later! I am really not a big fan of spiders but I will make an exception for these little guys! 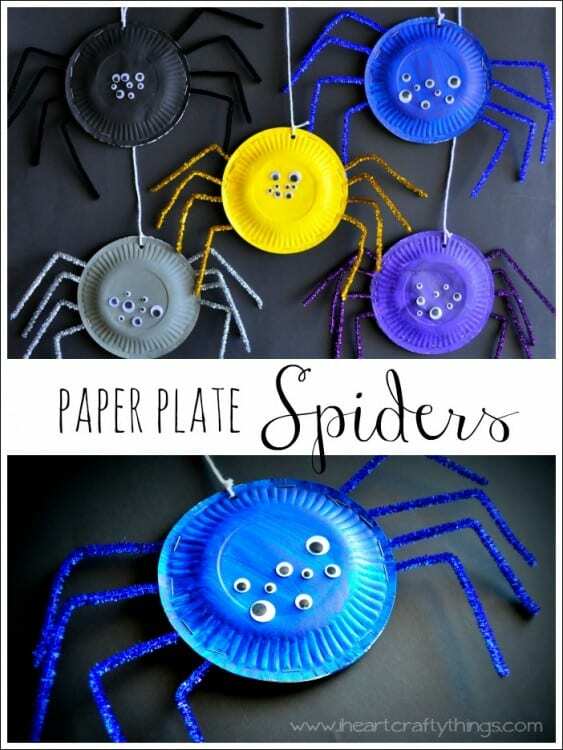 We love paper plate crafts because they’re simple enough for your toddler to enjoy creating, but older kids can have fun with them too! If your kids trade candy at school on Halloween why not try this instead. 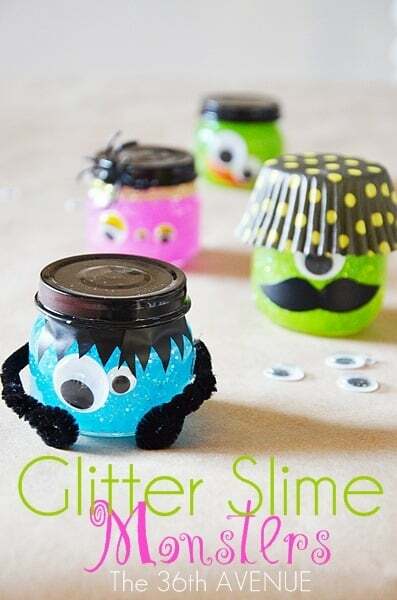 Adorable monster jars filled with Halloween slime! Just make sure the other kids know it’s to play with and not to eat! 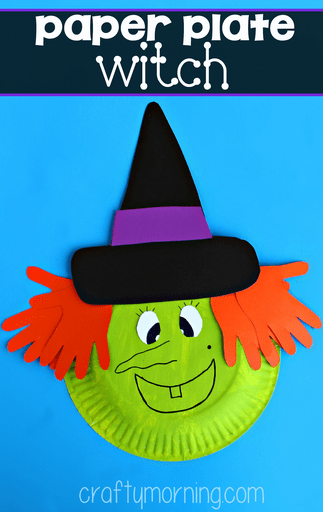 Here’s another Halloween craft that turns a boring old paper plate into something fabulous. This time its a spooky witch! If you’re planning a Halloween party and trying to think of some games to play try Halloween bowling! 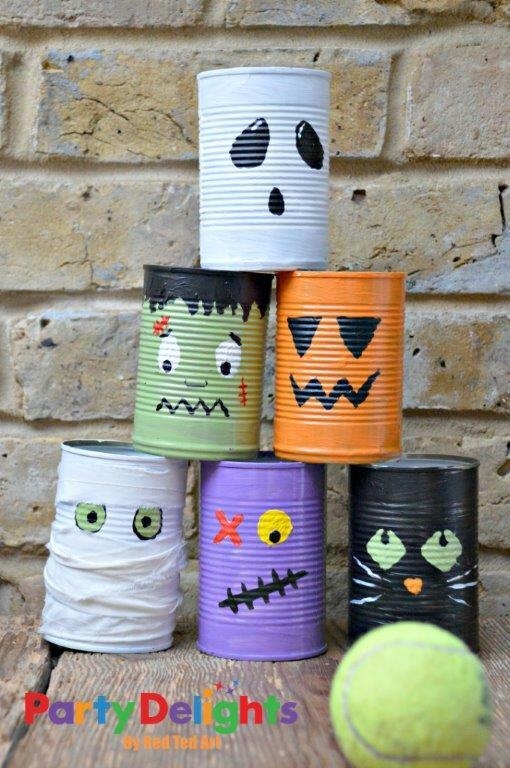 You can spend your crafting session making the monster tins and then play with them at the party. They’d make pretty cute pencil pots too! 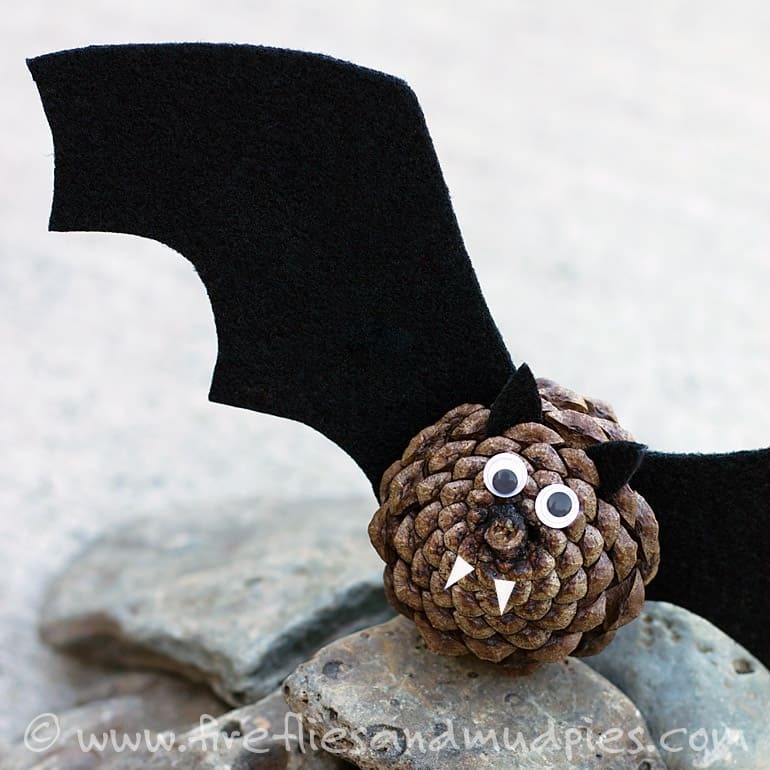 You can’t have a collection of Halloween crafts without a bat so how about this little guy? I love the idea of using different sized eyes to make him look extra “batty”! Do you have a box full of pinecones that need to be brought to life? 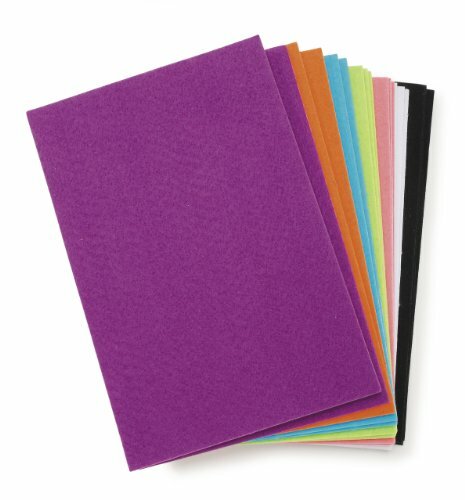 This little guy is a brilliant way to put them to good use! I don’t think I’ve ever seen a pair of cuter looking monsters. 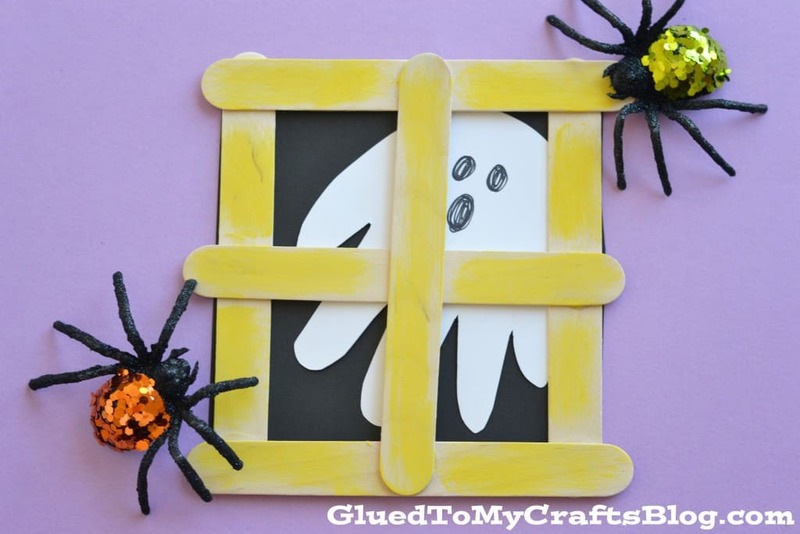 This craft is perfect for little ones because it’s easy to do with a little help from you and it’s not too scary. 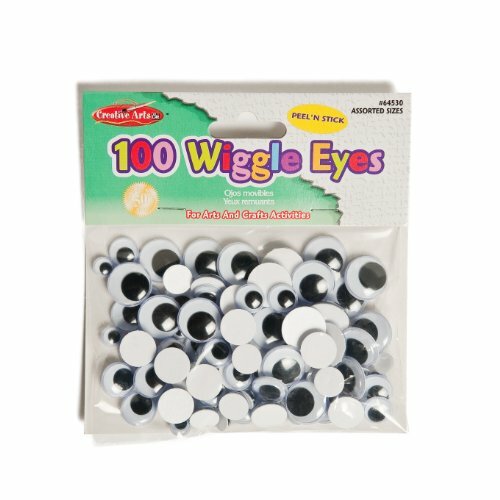 Once you’ve finished making these little guys you could make some googly eyed Halloween Cookies or Cupcakes to match! 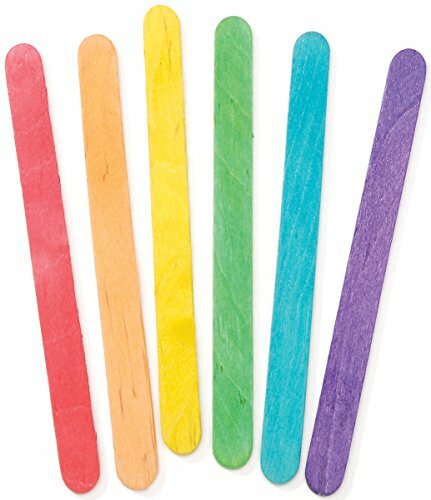 Popsicle stick craft meets handprint craft… what a fabulous idea! Love that little ghost peeking through the window. Oh these have to be the most adorable little ghosts! 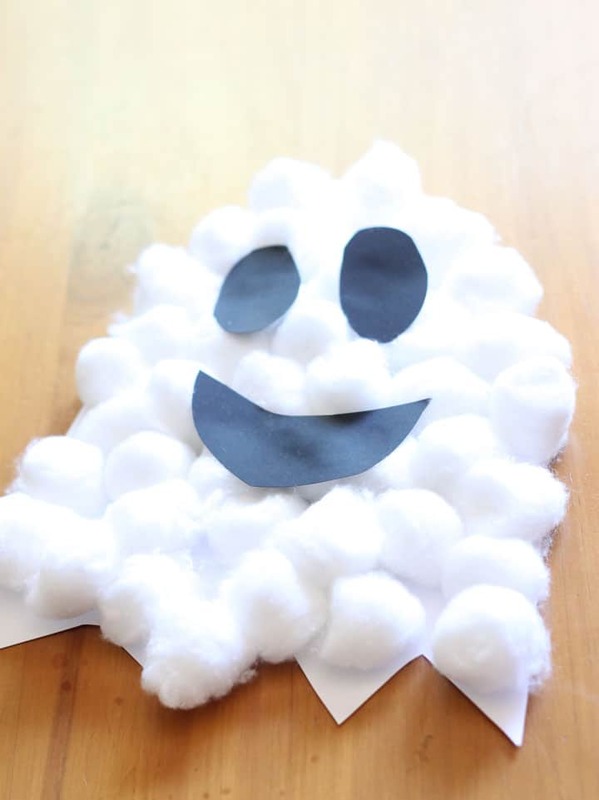 You just can’t beat crafting with cotton wool balls and these will make great Halloween decorations too! 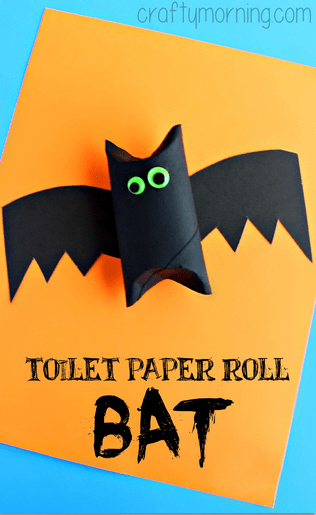 Ooh is this a Halloween Craft or a Halloween Treat? I think we can declare it to be both! 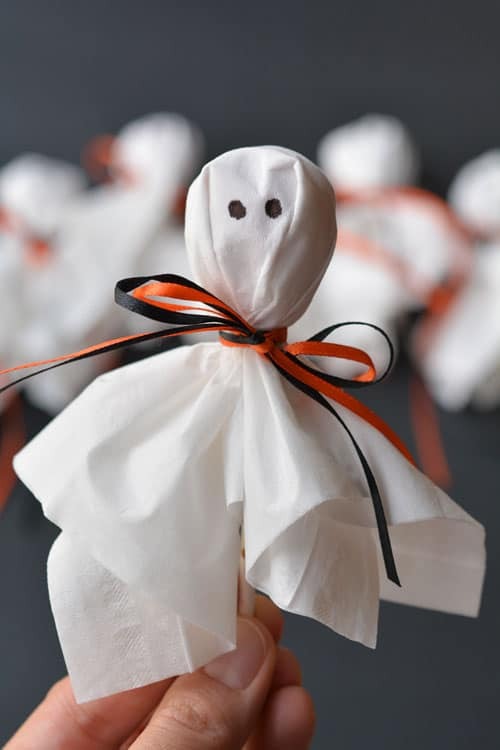 Your child will have fun creating these super cute little ghosts and then their classmates can have fun eating them! 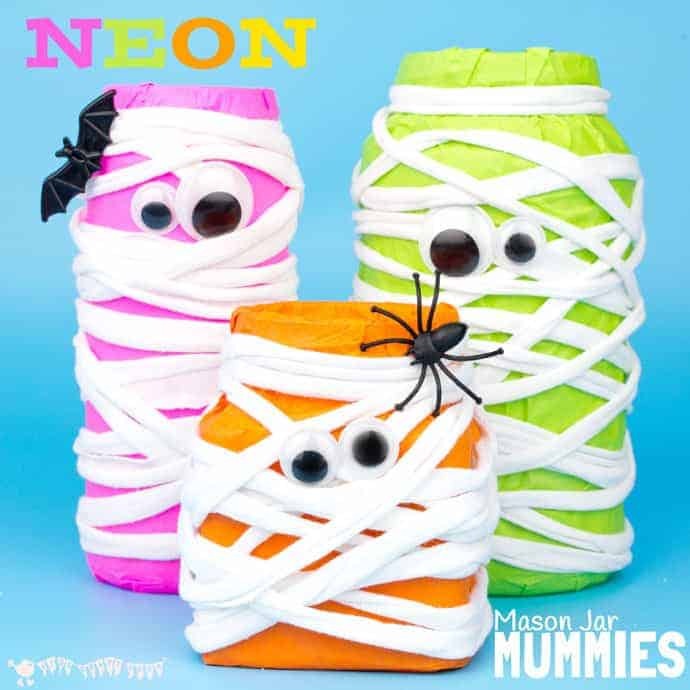 Love the bright colors of these neon mason jar mummies! 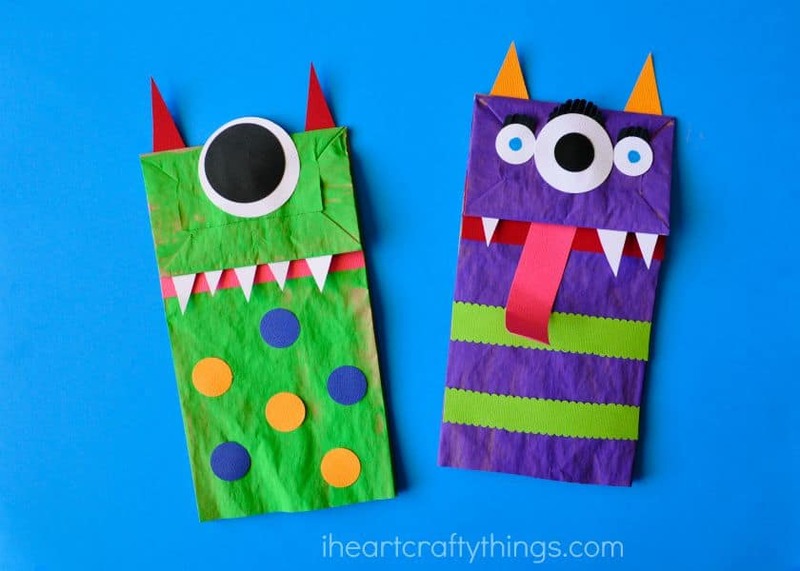 They’re easy to make but with lots of motor skill practice thrown in.